Terry is a sales and marketing expert who has spent over 30 years working as a Sales & Marketing-focused director within the software industry, His pragmatic views and plain speaking have helped medium-sized businesses survive recessions, foster growth and open new markets. 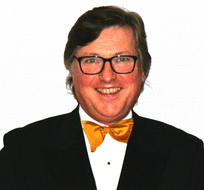 Since 2002, Terry has run his own consultancy, (www.terryforsey.com), helping small owner managed software businesses build successful sales and marketing activities and achieve significant growth. Their services cover every stage of the sales and marketing funnel, from website attraction, to visitor engagement, to nurturing and warming interest and finally successfully closing deals. Terry was recently described (unprompted) as the “Affordable John Harvey-Jones”. Terry is passionate about sport the creative and performing arts and in 2012 he founded The Travers Foundation to support local young people helping them improve their skills and achieve excellence. William is a British athlete who specialises in the 110 metres hurdles. He started his career as a junior high jumper and decathlete, but focused entirely on hurdling after a shoulder injury. 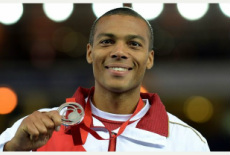 He made his international debut for Great Britain at the 2006 European Athletics Championships and went on to compete at the 2007 Summer Universiade. William came to prominence in 2009, after he significantly improved upon his previous personal best and finished fourth in the sprint hurdles final at the 2009 World Championships. He has since won the British Championships in 2010, 2013 and 2014, Commonwealth Games silver medals in 2010 and 2014 and European Championship silver medal in 2014. His personal best of 13.16 seconds makes him the third fastest British 110m hurdler of all time. He is the Artistic Director of Crystal Clear Opera and London City Opera . In recognition of it’s high artistic standards CCO was awarded an Arts Council England grant to tour throughout the U.K. and LCO worked in collaboration with Columbia Artists, New York on five annual tours of the USA. Gary is head of the Employment Law Team at Tollers. He has a Masters Degree in Employment Law. He advises and represents a number of high profile clients locally and nationwide. He is a proactive advisor who is not only happy to act as a “fire-fighter” but also as a keen problem solver and manager of key issues affecting his client’s business. Gary is a keen advocate and he represents his clients at all hearings up to and including appeals before the Employment Appeals Tribunal. He is extremely positive in respect of the advice he gives and is never afraid to take a novel approach in respect of his representation. Bruce Donald is the UK & Ireland Sales Manager for Simons-Voss Technologies a Global manufacture of digital locking systems. He has worked in the security industry for over 20 years. His sporting achievements include playing rugby for Northampton Saints, Scottish Exiles & England Colleges. He has cycled from Durban to Pretoria, John o’ Groats to Lands End and completed the first ever UK Iron-man triathlon. His toughest challenge so far has been the Marathon des Sables, consisting of running 150 miles in six days across the Sahara Desert whilst being completely self-sufficient. Bruce is passionate about supporting new talent of all abilities and has coached kids in tennis, rugby and triathlon.